Much too often, winter tires are portrayed as "snow tires". The truth is, winter tires are not only designed to perform in snowy conditions, but they are intended to provide optimal performance in the cold weather temperatures as well. Therefore, even in the absence of snow on the road surface, your winter tires will continue to provide you with the performance and safety you expect, thanks to the soft compound mix capable of withstanding extreme temperatures. 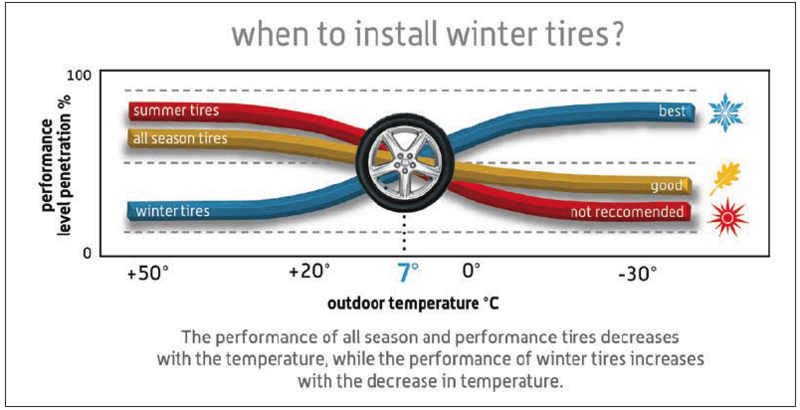 Winter tires are particularly effective under difficult environmental conditions (snow, ice and mud) and at low temperatures, below +7ºC (44.6ºF). During the winter season, tires play a crucial role in the vehicles overall safety and performance. As temperatures drop, standard (non-winter) compound characteristics show decreased elasticity. This results in a reduced contact area and therefore overall grip. The need for greater mobility and improved safety in winter conditions has led to high demand for winter tires. 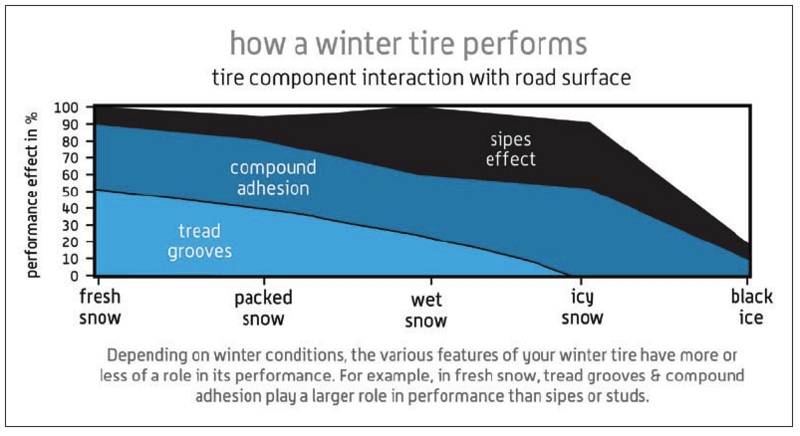 To better understand the benefits of a winter tire, we must understand that its properties are geared towards “cold temperature” performance. Exposure to the elements and heat are the main factors that affect the speed at which a tire ages. Tires will age naturally, but by taking a few steps to properly care for your tires, you may be able to prolong their life. Ultraviolet rays and heat are not good for the rubber in you tires. You should keep your off-season tires out of direct sunlight. Ask your Service Advisor for more information. 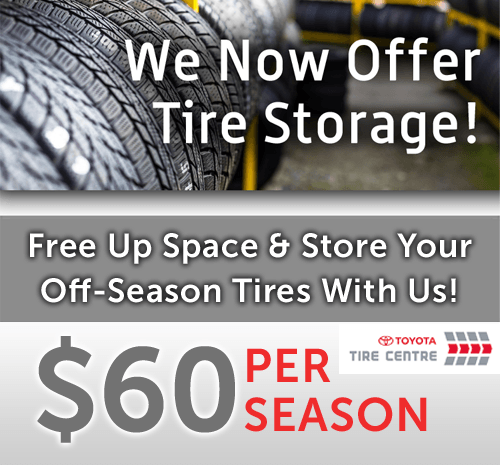 When storing your tires, place them flat in a dry, cool location that is not close to electrical motors or machines. They can give off ozone, which can damage your tires.